Get 25 Rs. Amazon Voucher Free of Cost - Hello there! You have been searching online to earn Amazon Gift Coupon/Voucher. So here we are going to tell you that using Paisaget and PokerBaazi you can earn Free Amazon Gift Voucher. You have to register on PokerBaazi using the Paisaget to be eligible for this Amazon Coupon. You can only avail this offer once per user, number, email or device. To get this Free 25 Rs worth voucher from PokerBaazi and Paisaget. You have to sign up on PokerBaazi via visiting on Paisaget. Then you'll be able to get cashback of Rs. 25. That'll be in the form of 25 Rs Amazon Gift Coupon/Voucher. Before reading the whole post you can check our previous posts as well. Where you can earn PayPal cash by creating 15 seconds Video on the Vigo App. 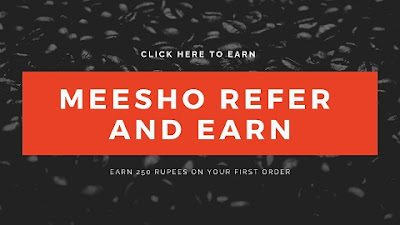 We have also posted various Online Earning Recharge Tricks. So follow the below links and avail these earning opportunity. Let's talk more about PokerBaazi and Paisaget. How they are going to provide you with free 25 Rs worth Amazon Voucher. So let me tell you about this thing that every new site wants to be promoted from the various online resources. Such as Facebook, WhatsApp etc. Paisaget is also one of the reputed sites to provide such platforms. PokerBaazi:- On PokerBaazi you can earn Online Real Money. This is the Online PokerGame site where you can earn by playing Poker's Game online. You can play various Poker Games on PokerBaazi. Now Follow the below steps to get "free 25 Rs Amazon Voucher" from PokerBaazi and Paisaget. For this, you have to register on Paisaget first and then again go to the Paisaget and Register on PokerBaazi using the Cashback offer Link. How To Get 25 Rs Amazon Voucher Free of Cost From PokerBaazi & Paisaget? First of all Register on Paisaget Click Here. After Register on the Paisaget Verify your Email ID. Now Click on the "Get Cashback" Option. After this wait few seconds and you'll get the Registration Form of PokerBaazi. Fill the Username, Password, Email, Date of Birth. Apply Coupon Code CVX100 (to get 100 Rs SignUp Bonus on Pokerbaazi). Now Verify your Email From PokerBaazi. Now Come Back to the PaisaGet Account. You'll see 25 Rs Pending Cashback. You'll also get Text Message on your Mobile. This Pending Cashback will come as 25 Rs Worth Amazon Voucher on Your Email ID within 24 hours of Successful Registration on PokerBaazi. You'll get your Amazon Voucher within 24 hours. Only One User Can Get From One time this Voucher. Use only Fresh or New Email from Register on Both Sites. If you don't get Email Verification Link for PokerBaazi. Click on Profile option and then click on "Verify Now" option to get Verification Mail. So this was the offer about to get 25 Rs amazon voucher from Paisaget and PokerBaazi. Try to avail this offer to get free amazon voucher. Use Chrome browser for the better experience. Follow all the steps carefully to avail this offer.